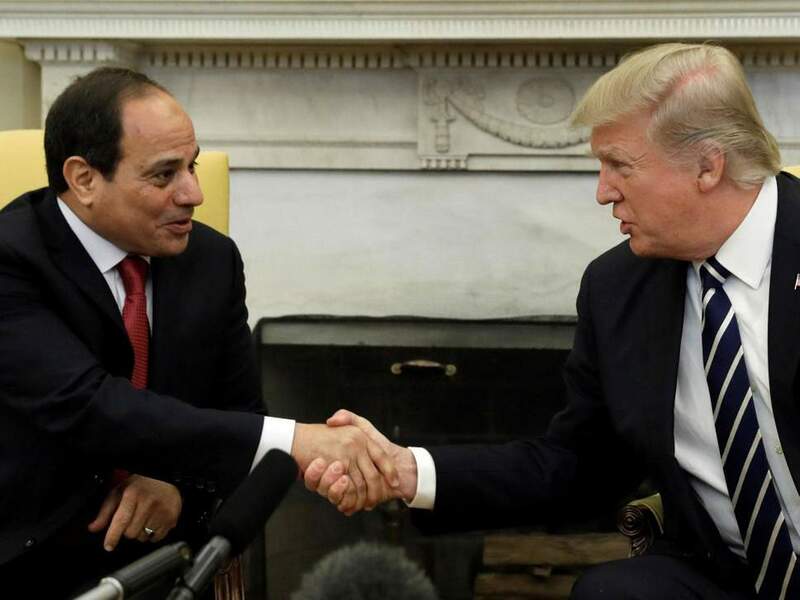 US President Donald Trump Tuesday lauded cooperation with Egypt in the fight against terrorism as he received al-Sisi, criticized for human rights violations in his country. The US leader, Washington Post reports, told the media that a lot of progress had been made with Egypt in terms of terrorism. During al-Sisi’s visit, the two Presidents will discuss military issues and trade. Egypt is the second largest recipient of US military aid after Israel and Trump has appeared as al-Sisi strongest international backer. 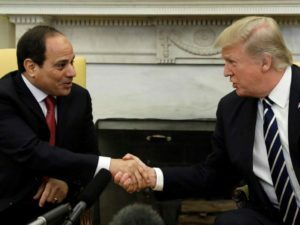 While Egypt remains a key US ally in the Middle East region, several American politicians and rights groups have condemned Trump’s support for the Egyptian leader who is criticized for a poor human right record. Al-Sisi has cracked down on critics and muzzled the opposition. The General-turned President is on the verge of extending his stay in power through a constitutional amendment to be enacted by a referendum in the few weeks to come. If adopted, the Egyptian President could stay in power till 2034. He was elected last year for another four-year term in an almost unchallenged elections. Key US senators, in a letter released on Monday told Secretary of State Mike Pompeo to convey their concerns about democratic governance, political freedom, economic reforms and fundamental human rights in the country, The Washington Post reports. “A strong and sustainable U.S.-Egypt strategic partnership is vital for both countries but it requires Egypt to make a tangible effort to make those reforms,” states the letter, signed by the Republican chairman and the top Democrat on the Senate Foreign Relations Committee as well as 15 other senators. Written by: KanelkaTagba on April 10, 2019. Posted by KanelkaTagba on Apr 10 2019. Filed under Headlines, World News. You can follow any responses to this entry through the RSS 2.0. Both comments and pings are currently closed.